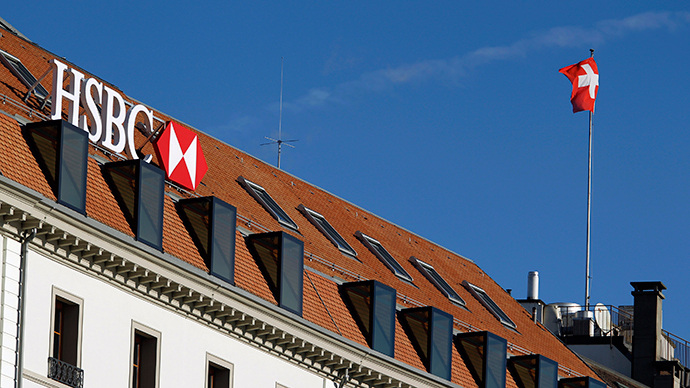 The investigation is being driven by “recent published revelations” of HSBC’s Swiss private banking arm that was accused of helping terrorists, royalty, and drug dealers conceal their identities to avoid taxes. press release this morning announcing the raid. The investigators have left the premises of #HSBC with troves of documents. Europe’s largest bank, and the world’s second largest, has been at the center of controversy since the International Consortium of Investigative Journalists published a report two weeks ago that named 100,000 clients that were using the bank to dodge taxes. HSBC’s involvement in tax avoidance goes back to 2008, when former computer technician, Herve Falciani, blew the whistle on the company’s practices after stealing confidential data which he then turned over to the French finance minister at the time, Christine Lagarde. Between 2005-2007, the bank allegedly lured clients with the promise of keeping their tax identity hush-hush. At the time, the bank controlled $100 billion in assets. The most recent media frenzy over the company has spilled into all aspects of London political life. Lord Green, who was the bank’s president from 2006-2010, has also stepped down from chair of the banking lobby group The City UK. The story has received plenty of media attention, and the chief political commentator of the Daily Telegraph, Peter Oborne, resigned over his newspaper’s coverage of the scandal. Oborne said editorial policy pushed the story out of the limelight due to HSBC’s large advertising contract with the paper.